Wrap and seal your products in their original packaging and ensure that all tags are intact. We’ll check your returns, and credit your refund to your card, bank account, wallet or PayPal account. If you’ve paid by cash, you’ll receive a Credit Note. Please note, you will not be able to return Home Centre furniture to a Home Centre store. 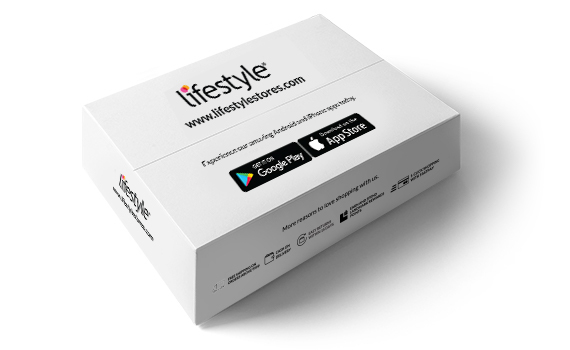 Wrap your products in their original packaging and bring them over with your return slip and invoice to any Lifestyle store. You’ll receive a cash refund or a refund to your card, bank account, wallet or PayPal account, depending on your payment method. You can also opt for a Credit Note. Speak to us at 1800-123-1555 to schedule a pick-up time and location. Make sure you fill out the return slip first. We’ll check your returns and credit your refund to your card, bank account, wallet or PayPal accountin 2-7 days. If you’ve paid by cash, you can opt either for a transfer to your bank account, or a Credit Note.